The new Canopy by Hilton brand is to make its UK debut in London with a £76m hotel development. Canopy by Hilton London City will be located in Aldgate and is expected to open in early 2018. Its launch will follow the opening of the world’s first Canopy by Hilton in Reykjavik this summer. 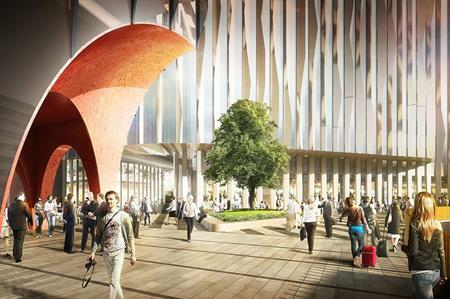 The Minories development where the new hotel will be located will also feature a new city square, a public green garden, an office building and a new residential building alongside the Canopy by Hilton London City. The interior design of the hotel will draw on the history of the Whitechapel Gallery and the cultures in the surrounding area. The hotel will feature meeting rooms, a ground floor lobby designed to reflect the neighbourhood, a hotel restaurant, rooftop bar, a fitness centre and complimentary wi-fi. Gary Steffen, global head at Canopy by Hilton, said: "Canopy offers travellers a fresh experience in the lifestyle category with surprising extras and local know how. Aldgate was chosen for its proximity to both the stylish City of London and the more edgy and energetic East End."